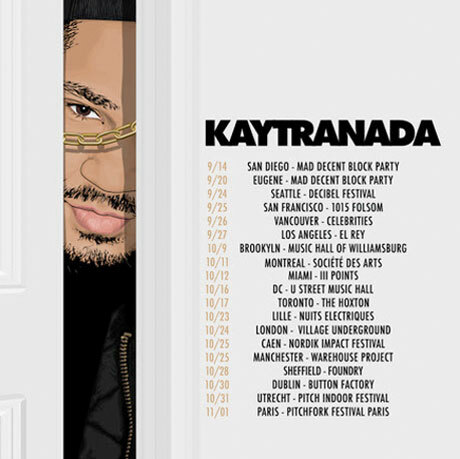 We still haven't heard Kaytranada's planned EP for XL Recordings, and while the details of its release are still forthcoming, the Montreal producer is poised to have a busy fall. He's just booked a tour of North America and Europe. The outing will start off with appearances at two editions of the Mad Decent Block Party in September. He'll then hit the road for a string of his own shows, playing a number of U.S. dates and returning to his home and native land for appearances in Vancouver, Montreal and Toronto. By late October, he will head across the pond for some stops in Europe. See the schedule below, and stay tuned for updates about his upcoming EP for XL.